Buddha plans to serve the Kathmandu-Kolkata sector from September 1. It will be operating three weekly flights using a 72-seater ATR aircraft to Kolkata, the capital of India’s West Bengal state and the second largest city in India. 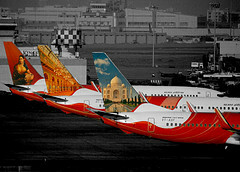 The carrier has targeted bringing 600 tourists from Kolkata monthly. “If we succeed in bringing 600 tourists each month from Kolkata, we are almost near our target of beginning operations with jet aircraft,” said Basnet. One of Buddha’s ambitious plans is flying to all major Indian cities as it has set its sights on the growing middle class Indian market. “By March 2020, we will be flying to key Indian cities from Tribhuvan International Airport (TIA) after acquiring two narrow-body jets,” said Managing Director Birendra Bahadur Basnet of Buddha Air.